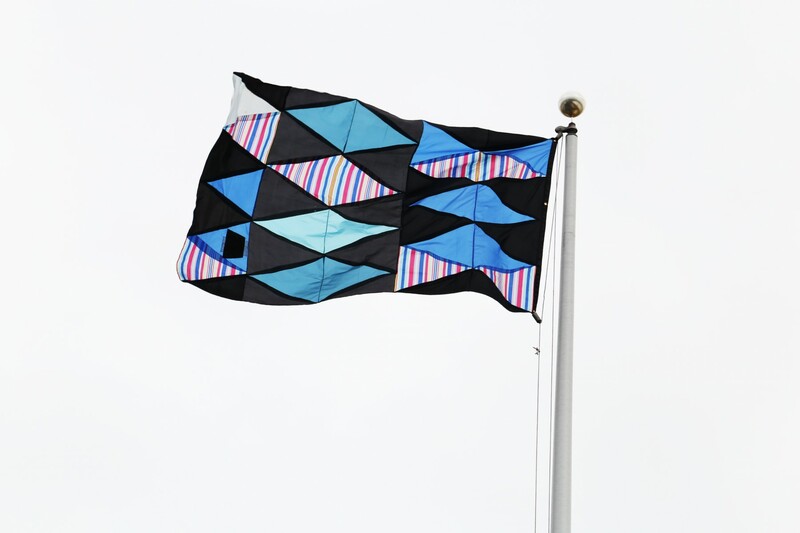 Pleased to fly my flag at Knockdown Center as part of Philip von Zweck’s project Temporary Allegiance, an ongoing open call for artist-made flags to be featured temporarily on a 40 foot flagpole at the building’s entrance. Flying High at 40 feet! The Knockdown Center is located at 52-19 Flushing Ave, Maspeth, NY 11378.